To configure your GitHub account to use your new (or existing) GPG key, you'll also need to add it to your GitHub account. GitHub Enterprise supports several GPG key algorithms. If you try to add a key generated with an unsupported algorithm, you may encounter an error. When verifying a signature, we extract the signature and attempt to parse its key-id. We match the key-id with keys uploaded to GitHub Enterprise. Until you upload your GPG key to GitHub Enterprise, we cannot verify your signatures. In the "Key" field, paste the GPG key you copied when you generated your GPG key. 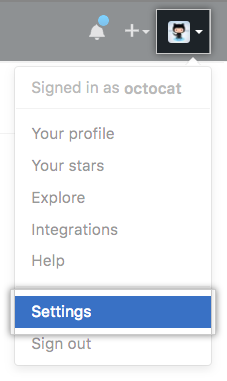 To confirm the action, enter your GitHub Enterprise password. "Checking for existing GPG keys"
"Generating a new GPG key"
"Telling Git about your GPG key"
"Associating an email with your GPG key"
"Signing commits and tags using GPG keys"